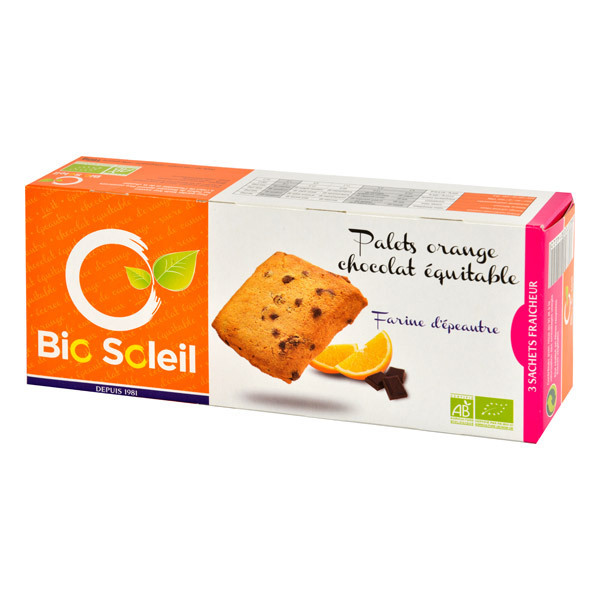 Ingredients: spelt flour *; non-hydrogenated palm oil *; fair trade chocolate chips * (12%) (white cane sugar *, cocoa mass *, cocoa butter *, sunflower lecithin); unrefined raw cane sugar *; whole eggs *; candied orange peel * (5%); skimmed milk powder *; unrefined sea salt; orange essential oil *; raising agents: ammonium bicarbonate. Allergens: Presence: gluten, milk, egg. Possible traces: nuts, sesame, soy, peanuts.